Click here (or right click and save) for the schedule of events for this upcoming weekend’s RSC National Speed Championships. The racing will take place Saturday and Sunday in Harriston at the CITC. Monday is reserved as the rain date and the Canada Day Marathon takes place on July 1st with the race starting at 8am. Check out the site Derby Girls for Canadian Roller Derby information. Brampton’s Aaron Arndt suffered broken bones in his legs in a 49-skater crash at the Weinfelden, Switerzland World Inline Cup on Saturday. He was brought to a local hostpital where he has undergone surgery and will undergo a second surgery in 10 days. The peloton had just completed a 100km/h+ downhill section and were racing at about 60km/h when the fall happenned. The crash took place when skaters were vying for position and they clicked skates. Many prominent and world top skaters including Colombia’s Diego Rosero and New Zealand’s Kalon Dobbin were also involved in the crash. Aaron Arndt has been living in Europe competing for Subau X Tech. His 2008 plans include representing Canada at the World Roller Speed Skating Championships in Gijon, Spain. Due to the unstable weather expected over the weekend in Southern Ontario- especially Sunday- it has been decided to postpone the weekend’s Roller Sports Ontario Speed Series until a later date. The dates for the recheduled weekend programme will be announced later. 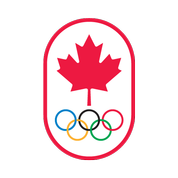 If there is anyone who is going to be attending the Canada Day Event in Cambridge on July 1st and is not entering to skate but would be available to help out volunteering or you have family/ supporters who can help, please contact Wayne Burrett wayneb-speed[at]rogers[dot]com and Jim Mallard jmallard[at]rogers[dot]com as soon as possible. Your help is sincerely appreciated to fully staff this event. If you are skating it get your entry in early and save some money. The NRS CITC Skateathon is this Saturday. The event is a 12-hour skate from 8:00am to 8:00pm. Cost $10 per skater and $25 per family. There will be games, draws, lots of munchies and music! Those wanting to participate in the Skateathon and the RSO Outdoor Points Series the next day on Sunday can camp out or stay over at the CITC. Pitch a tent and or bring a sleeping bag and air mattress to use in the pavilion. If the weather decidedes to spoil everything, this may have to be postponed until the following weekend. The call will be made on Friday night and messages will go up on the internet and on the TISC Hotline. The RSO Series provides a good opportunity to get a workout in on the track to be used for the Canadian Championships. However the weather may result in postponing this until the following weekend.